Paul reminds us that there is now no condemnation to them that are in Christ Jesus. Nothing can be said, done or thought, for which Christ hasn’t paid full restitution. Those that believe on Him are accepted because of this forever-finished Work. He accepts forever the forever finished work of Calvary’s Cross – for ever and forever. Our acceptance by God has no conditions. 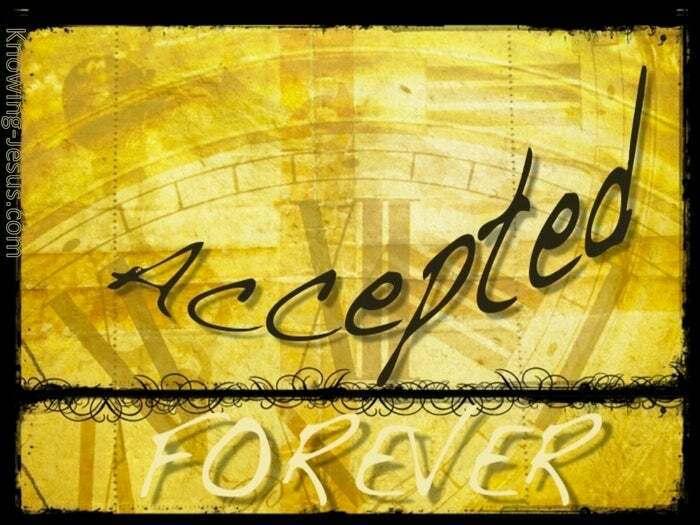 Our acceptance by God is unconditional. Nothing in heaven or earth, hell or the universe can alter this truth. It is finished. He accepts forever, the forever finished work of Calvary’s Cross forever and forever. There is therefore now no condemnation to them which are in Christ Jesus, and the verse continues… who walk not after the flesh, but after the Spirit. Rom.8:1 Many have made this verse conditional – counter to God’s proclaimed Word. Ahhh they say… if you are not walking in the Spirit, then this does not apply. Hmmm they say… no condemnation! but only for those walking in the spirit. Rubbish! poppycock! What nonsense! Read the word. Study to show yourself approved. 2Timothy2:15. There follows a dissertation of a carnal Christian compared with the spiritual man.. and throughout his epistles Paul rehearses this truth – that we have two options. First a carnal Christian life:– born again but walking in the realm of the flesh and second a spiritual Christian life:– born again and walking in the sphere of the spirit. Read about the carnal believers of Corinth, 1 Corinthians 3.1, who ‘left their first love, just like the Ephesian believers in Revelation 2:4. Indeed Paul here prescribes the remedy to the carnal life versus the spiritual life. But there is no question throughout all the epistles that we can lose our acceptance.. for God’s Word tells us that we are accepted in the Beloved.. and accepted in the Beloved means accepted in the Beloved !. To lose God’s acceptance would render Christ’s finished word a sham. Jesus said: this is My blood of the New Testament, which is shed for many for the remission of sins. And where remission of sins has taken place.. there is no more offering for sin. Why are we told this in Hebrews chapter 10? Because it is finished. 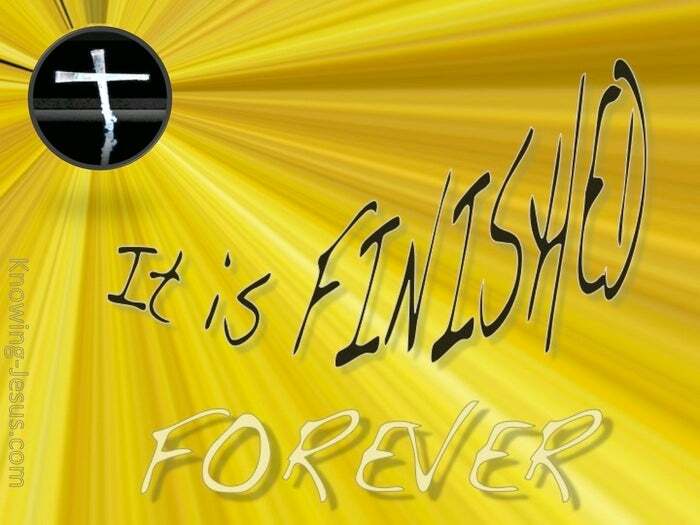 It is finished – for ever and forever AMEN.